Historic Flying Limited, a company that since the late 1980's has been synonymous with the classic British Spitfire. It was formed initially to restore five Spitfires from the Royal Air Force's stock of Gate Guardians. The first of these, RW382, flew in 1991. Since then Historic Flying has restored approximately a third of the world’s flying Spitfires. In 2001 Historic Flying moved from Audley End to its current home at the historic airfield of Duxford where it shares a hangar with The Aircraft Restoration Company. The two companies, under the management of John Romain, work closely together, transferring skills and knowledge between projects as required. Working closely with the CAA, ARC oversees the restoration of the projects. Once complete, unless sold, the aircraft are based at Duxford and operated by ARC for air displays, film and television. 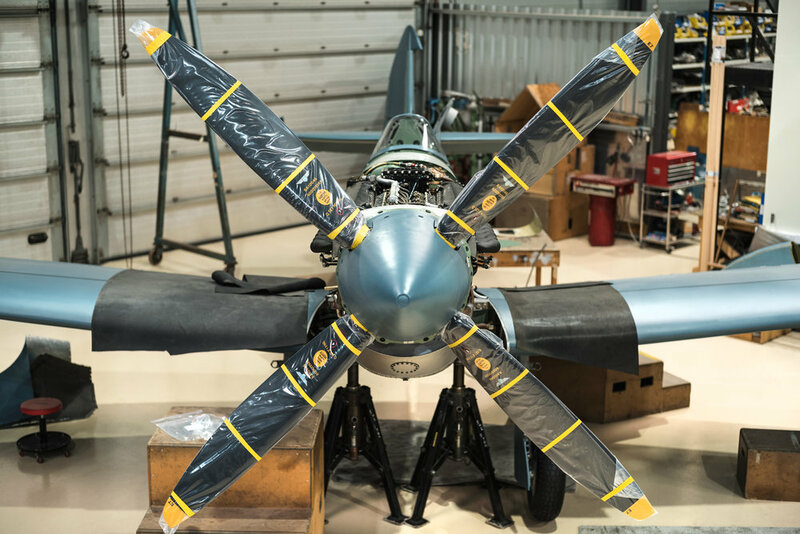 All of Historic Flying's restorations are specified, not only by the company's high standards but also by the aircraft’s history and the project inventory, ensuring that quality is not compromised. Spitfire P9374, model F Mk 1a, operational with 92 Squadron was shot down/force landed on the beach at Calais, France, on 24th May 1940. Recovered from the beach in September 1980, it was stored at the Musee del’Air, Vannes, France, until 1996. Now looking resplendent in original markings, the first engine runs took place on Friday 17th June 2011, a proud moment for all involved. P9374 took to the air on August 30, 2011 and it is the earliest mark of Spitfire flying anywhere in the world. That’s definitely one for the record books! Spitfire N3200 was build under Ministry of Production contract number B527113/36 in early 1939 at Vickers Armstrong (Supermarine) Ltd Southampton. The aircraft left the Southampton production line as part of a batch of 200 aircraft configured as MK1A; and fitted with a Rolls Royce Merlin III series engine. Following factory test flying N3200 was delivered to 8MU Raf Little Rissington in the 2 December 1939 and was subsequently issued to 19 Squadron on the 19th April 1940 (CodeQV-) based at RAF Duxford in Cambridgeshire. On the 27th May 1940, N3200 flown by Sqdr Ldr Geoffrey Stephenson was involved in operations to protect the evacuation of the B.E.F from the Calais area. The aircraft was hit and Sqdr Ldr Stephenson made the decision to force land the aircraft close to Sangatte. After the successful landing Sdrn Ldr Stephenson made good his escape. But was captured by the German army in Brussels on the 4th June 1940 and became a POW at the now famous Colditz Castle where he became involved with the Colditz Glider escape plan. Following the recovery of the aircrafts remains in 1986, N3200 was acquired by Mark One Partners in December 2000 and returned to the United Kingdom for restoration by Historic Flying Ltd. G-CFGJ with original 19th Squadronlivery was engine tested for the first time on the 21st February 2014. With a few minor Jobs to complete she was airborne for her first flight on Wednesday the 26th March 2014. Historic Flying Limited, since 1990, have put the following aircraft back into the air.